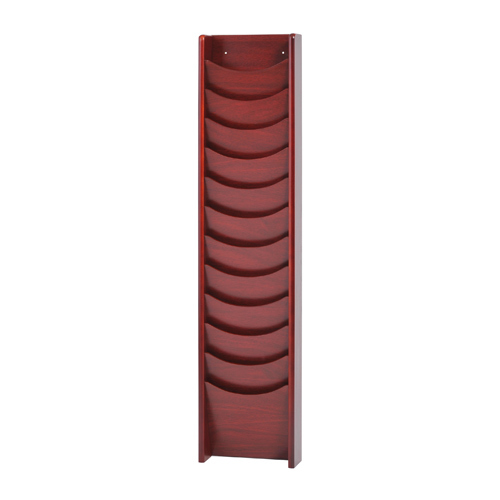 These solid oak literature racks add style and elegance to any lobby, reception area or waiting room. 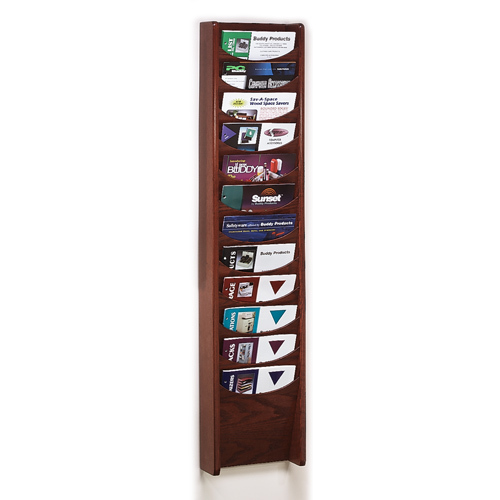 Pockets are graciously sized to display magazines, catalogs, brochures, even newspapers, and the scoop design allows for maximum visibility, as well as easy access. Pockets measure	9-1/2 x 3/4 x 11". Solid oak sides with veneer back and front available in Black, Medium Oak, Mahogany, and Medium Cherry. Can be mounted to wall, hardware included. Optional Base (0617) available to convert this unit into a freestanding floor rack.